BMI or Body Mass Index is widely used as a measure of weight or obesity. The factors taken into consideration for arriving at your BMI are your weight and height. A BMI between 25 and 30 is considered indicative of being overweight. BMI over 30 is considered obesity. It can label a muscular fit person as overweight or even obese. Muscle being denser weighs more. But higher muscle mass ensures a higher metabolic rate. Fat deposition is largely determined by genes. While some pack the pounds around their hips and thighs, others tend to store fat around the abdomen. Abdominal fat increases your fat risk manifold. So merely judging a person by BMI alone is not only inaccurate, it can be counter-productive. A person is considered overweight if he/she has BMI greater than 25. A BMI over 30 puts you in the obese category. Obesity has a close link with cardiovascular risk, raised blood pressure and diabetes. In some cases, it leads to premature death. Fatty liver is most often the cause for metabolic disturbances. Metabolically Healthy Obese or MHO refers to those who classify as overweight or obese by BMI but do not suffer any metabolic abnormalities. In spite of being significantly overweight, they exhibit normal cholesterol levels, healthy blood pressure levels and no signs of diabetes. MHO persons are obese but with favorable metabolic profile. They are a subgroup of obese persons but whose fat accumulation has not led to adverse metabolic effects such as insulin resistance, hypertension, dyslipidemia and impaired glucose tolerance. They do not exhibit the typical metabolic red flags that nearly always accompany obesity. Studies show that most persons who are metabolically healthy obese might be in a transient state heading down the road to metabolic disturbances if they do not make lifestyle changes. The healthy obese tend to carry their fat in the subcutaneous layer, where it is not so harmful. It was also noticed that they did not have fatty livers thereby maintaining normal metabolic health. Do not confuse the metabolically healthy obese with those suffering from lipodystrophy â€“ lack of fat cells. They might appear lean and sans fat, but they are most likely to have fatty livers and ectopic fat. 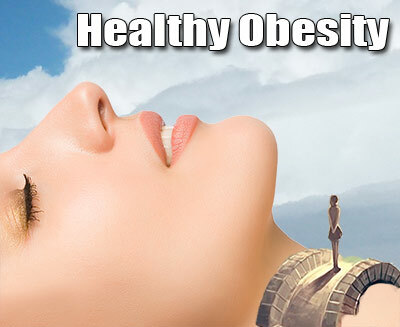 Obesity is not at all desirable due to its effects on all organs and metabolism. Metabolic dysfunction is the main fallout of obesity. Make lifestyle changes to shed extra weight and you can see manifold benefits. While weight and height might not be the most accurate measure of a personâ€™s health profile, it is always better to shed extra weight as it can lead to lifestyle problems such as painful knees and reduced ability to be active.